There is a great deal of interest in making homes more energy efficient. While you know what steps you can take to improve energy efficiency, you may not know where your home needs the improvements. Knowing where your home faces the greatest challenges will help you make the right choices to improve efficiency levels. Here is what you should know to perform your own home energy audit. One of the easiest ways to find leaks around doors and windows is with a little incense. Light an incense stick and move it around the frames. Areas of opportunity exist where the smoke is blown away from or drafted towards the wall or frame. In addition to going around doors and windows, perform the test where walls and ceilings meet and along the floor skirting. Take the time to inspect electrical lines, gas and water pipes where they enter the home. The caulk around these fixtures can crack and fail over time, but you can correct the problem by pulling out the old caulk and replacing it. You can easily see the insulation in your attic and in crawlspaces. The insulation in your attic should still fluffed out rather than flattened, and id should rise up above the ceiling rafters. Insulation that is crushed flat is no longer effective, and you should consider installing more insulation to make the home warmer. In crawlspaces, the insulation should be fitted into the rafters overhead or installed along the outer walls of the space. Foam boards are not as effective as rolls of insulation. If your crawlspace only has foam boards glued to the cinder block, consider installing rolls of insulation to keep the cold air out. There are also ways to check the insulation in the walls. Shut down the power to an exterior wall outlet by unscrewing the fuse or turning it off at the circuit breaker. Make sure it is off by pulling in a portable lamp or radio. Remove the cover plate and probe into the wall around the electrical box with a long screwdriver. If insulation is in place, you will feel the resistance. 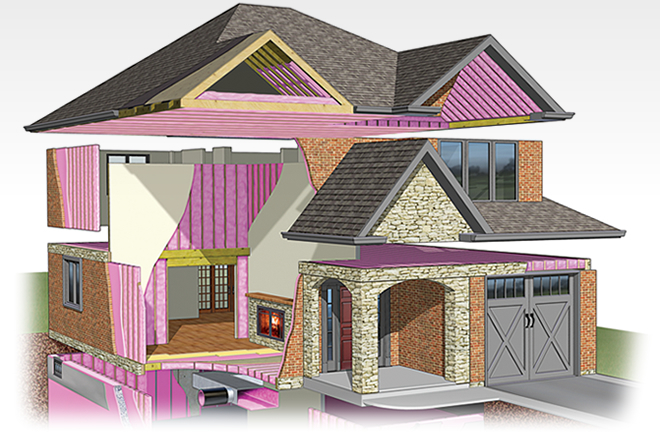 If you are still concerned that insulation has settled and the upper areas of your walls are no longer protected, then you may have to call in professionals to do a thermographic inspection. Take a walk through your home and look at the equipment you have. Heaters, air conditioners and hot water tanks that are more than 15 years old are not going to be very energy efficient. Light bulbs throughout the home should be LEDs or compact fluorescents. Older kitchen appliances also pull more electricity. Anything that plugs into the wall via a larger square box pulls electricity even when it’s not running the appliance or charging something, so those should be unplugged when not in use. Performing your own energy audit doesn’t take a great deal of time, but it can help you save money on the utility bills every month. Before you move into your new home, in addition to looking at items like insulation levels, steel posts and drafty windows, you should also take a good look at the appliances and electronics you use on a regular basis. Lachlan runs a construction business for his dad in Queensland, Australia. Lachlan loves DIY and spends most of his weekend in his workshop.